Welcome to Community Alliance & Action Network...“We are here...” for you! We provide advocacy, support, and outreach services for the lesbian, gay, bi, trans, queer community, and our allies, in Joliet, IL and the surrounding area. Our Mission is to build community and personal alliances to better our quality of life no matter what our sexual orientation, gender identity, or gender expressions are. We provide education, and entertainment, to celebrate our diversity, and to inform others about issues affecting our lives. We don't believe in the status quo. We believe in equality for everyone! We hope you’ll become part of the CAAN family! When you join us, you benefit yourself, your community, and our organization. 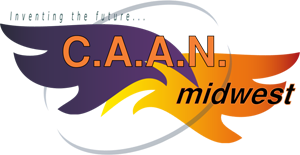 CAAN welcomes all. We believe that our strength comes from our diversity and the unique perspective it brings. We know that when each person does what they are intinctively called to do we create a stronger, loving community. The benefits of CAAN membership is the ability to have a voice in decisions (by vote). Choose the level that’s right for you, and then fill out our quick Join Us! Form soon! All levels: Save money and get a 3-year membership by paying for two years and getting the third year free! Individual: (1 year) $30, (3 years) $60 Fixed Income/Student: (1 year) $20, (3 years) $40 Family: (1 year) $60, (3 years) $120 Organizational: (1 year) $120, (3 years) $240 Lifetime Individual: $2000 Lifetime Couple: $3000 Donation at the $100 level or higher can be billed quarterly: January, April, July, and October. You will be billed when we receive your join us! form. For your convenience you may use PayPal or Bitcoin. I’d like more information before joining CAAN. I’m ready to join now! I’m already a member! Fixed Income/Student: $20/yr. Fixed Income/Student: $40/3 yrs. Individual: $30/yr. Individual: $60/3 yrs. Family: $60/yr. Family: $120/3 yrs. Organizational: $120/yr. Organizational: $240/3 yrs. You’ll be billed for your membership; those over $100 may be paid quarterly. All memberships to CAAN are valid to July 31st. Your invoice for a CAAN membership will be prorated so that you will be charged through July 31st of the following year. Anything else you’d like us to know, or want to ask about? Could you please tell us how you found us? We are in the process of collecting a discrimination survey. This is a CAAN project. We are using your answers to help us decide what area we need to focus on in advocacy. The survey is quick, only 10 questions. What was/is your experience? take it now.